Inopacan town in Leyte recently opened the Nature’s Walk and Viewdeck, its newest addition of tourist attractions to lure more visitors, both local and foreign, in the area. The Nature’s Walk is a 900-meter walkway made of bamboo that passes through thick mangroves with a view deck at the end. The view deck provides a sight of the new municipal building of the town, and more so, the famed Cuatro Islas, a group of four islets off the western coast of Leyte province that is drawing a good number of tourists yearly for its crystal clear water and pristine white sands. Cuatro Islas which means “four islands” in Spanish, is a group of islands belonging to the municipalities of Inopacan and Hindang, in the province of Leyte. Three of these islets belong to the administrative jurisdiction of the municipality of Inopacan while one belongs to the administrative jurisdiction of the municipality of Hindang. 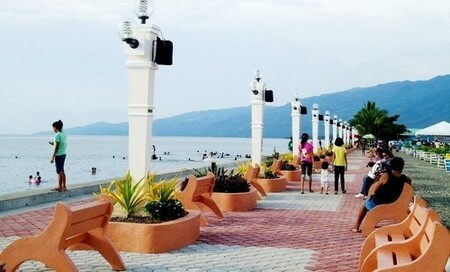 Another attraction offered in Inopacan is its Baywalk Park that runs along the town’s bay and was designed for tourists, visitors and locals to enjoy the sun, the sea and the view of islands nearby. Both the Nature’s Walk and Viewdeck and Baywalk Park are projects of Inopacan Mayor Silvestre Lumarda who is now on his second term. Inopacan town is also included in the tourism promotion effort of the provincial government of Leyte dubbed as the Northwest Leyte Tourism Corridor under the Local Governance Support Program- Local Economic Development project of the national government and the Canadian International Development Agency. The cities of Baybay and Ormoc and the municipalities of Palompon and Isabel make up for the rest of the corridor. This local project aims to increase investments and generate new and expanded businesses in the cities and municipalities of the Northwest (NW) Leyte Tourism Corridor. In turn, these investments and businesses will generate employment opportunities for the men and women of the area, including opportunities for self-employment through entrepreneurship in the tourism sector. Leyte’s strategy for developing the Northwest Leyte Tourism Corridor is focused on strengthening specific sites within the corridor as magnets for visitor arrivals, eventually leading to the attraction of tourism investments.